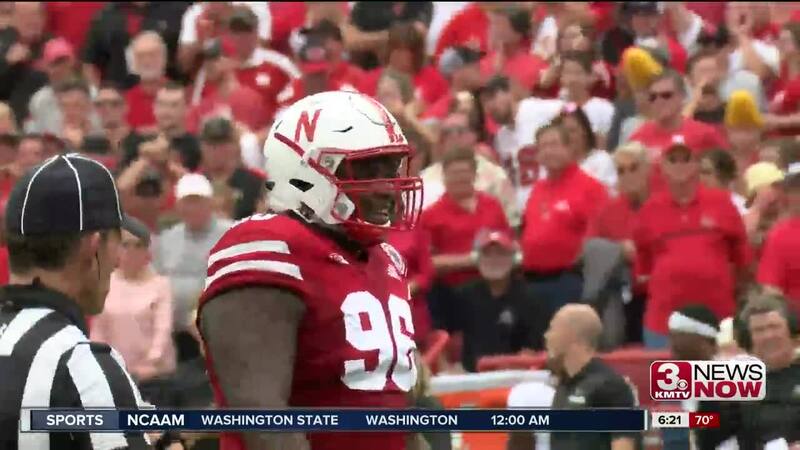 Heading in to week six of the college football season injuries are taking toll on Nebraska's defense as the Blackshirts prepare for battle with the Badgers. With captain Mick Stoltenberg out and Will Honas done for the season, Nebraska will be counting on the second-string guys to fill their spots on the gridiron. "I look at it as next man up," said Defensive Coordinator Erik Chinander. "We practice with a lot of guys and give guys a lot of reps, next man up let's go because those guys will not be seniors forever and they'll have to play eventually, whether it's two years down the road, whether it's tomorrow or the next rep, it's next guy up and let's roll." With Stoltenberg out fans will see more of Carlos Davis inside at nose-guard. Defensive line coach Mike Dawson likes what he's seen so far from the junior since moving him inside. "The more experience he gets in there the better he'll be," Dawson said. "I think sometimes when you're that close to the ball and right in front of it things happen very quickly so it's going to happen fast for him. He's athletic enough and strong enough to be able to handle it. I think he'll be fine."